I’ve used a variety of baby carriers since my oldest was an infant. Whether you’re working about the house or hiking your favourite trail, a baby carrier lets you have your hands free while keeping baby close. Here’s a list of the carriers that I’ve used with my babies (and toddlers), and what I like and dislike about each. I hope this will help you choose the best baby carriers for your family! This post contains affiliate links; as an Amazon Associate, I earn from qualifying purchases. 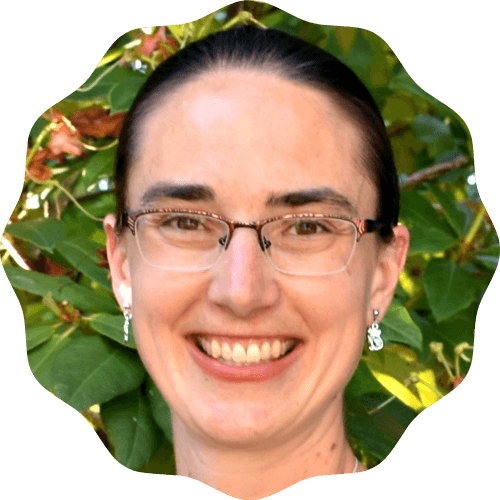 I received two carriers for review and have linked to reviews by This West Coast Mommy for other carriers. Cost — what’s your budget for a baby carrier? 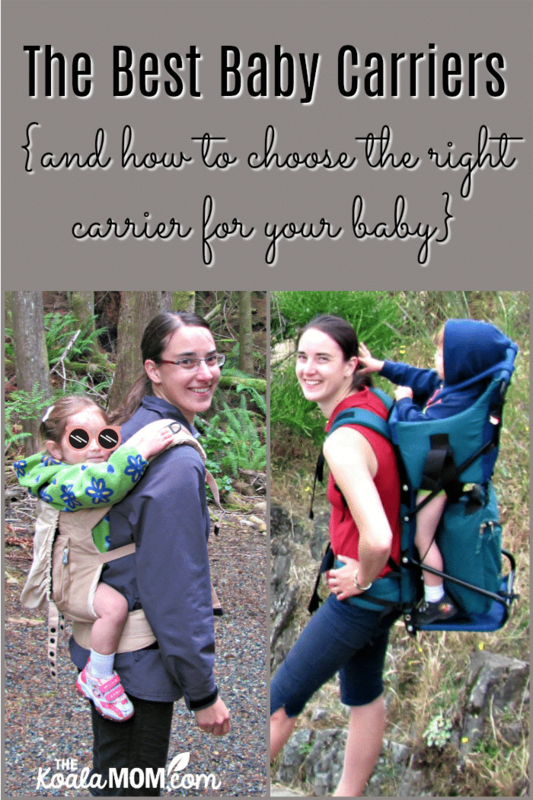 Size — can you use this carrier with your newborn? with your toddler? How long do you want to be able to carry your baby? Fit — how does the carrier fit you? Does it fit your spouse too? Is it comfortable? Does it offer enough support that you can carry the baby without getting a sore back? 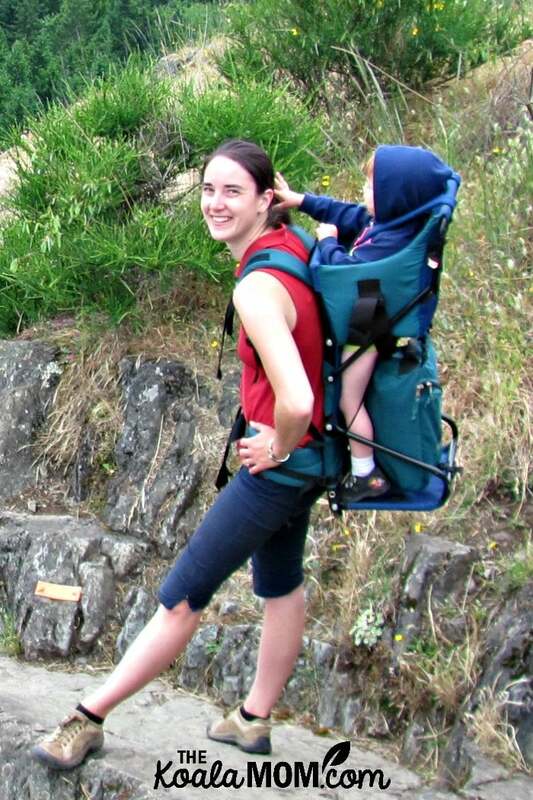 Use — how will you be using your carrier (around the house, on long hikes, while grocery shopping)? I usually have two or three baby carriers around the house. 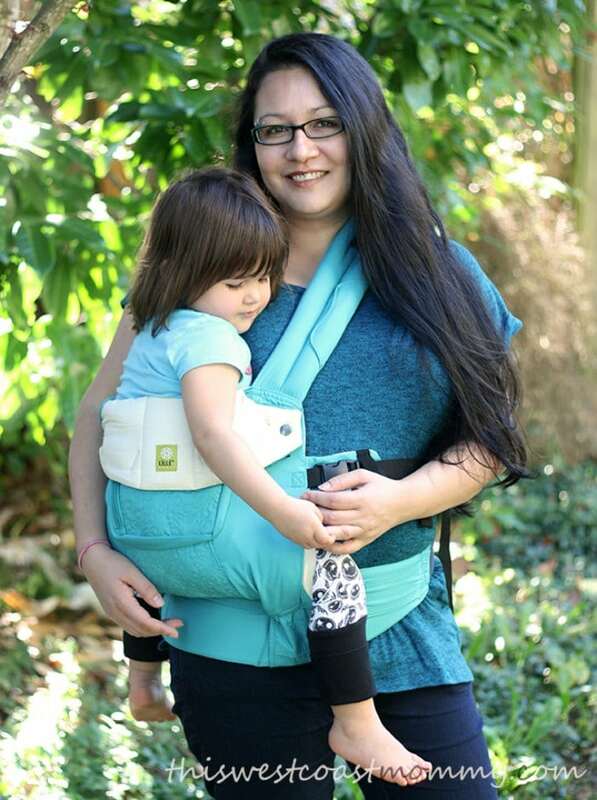 I use different carriers for different ages and tasks; for example, I prefer the wrap or ring carriers for infants, and the buckle style carriers for toddlers. 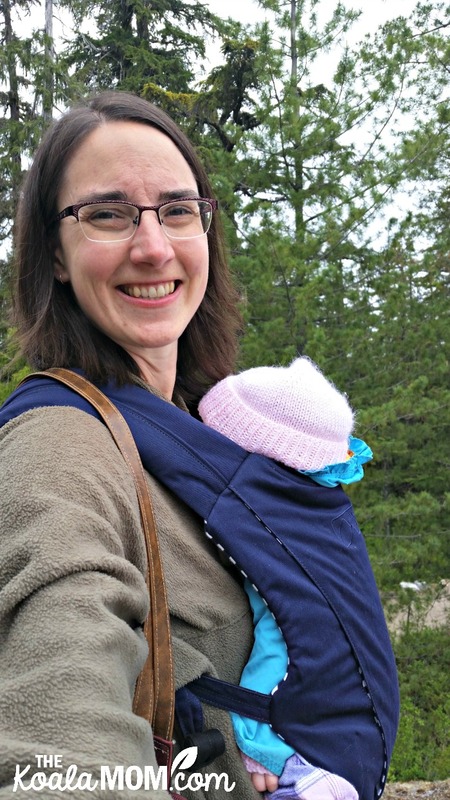 I also prefer the buckle carriers for longer periods of babywearing, such as a hike, because they offer better support of the baby (and are less likely to cause a back ache). If you can, try out the baby carriers before buying. You can do this by borrowing a friend’s carrier or dropping by your local baby store. 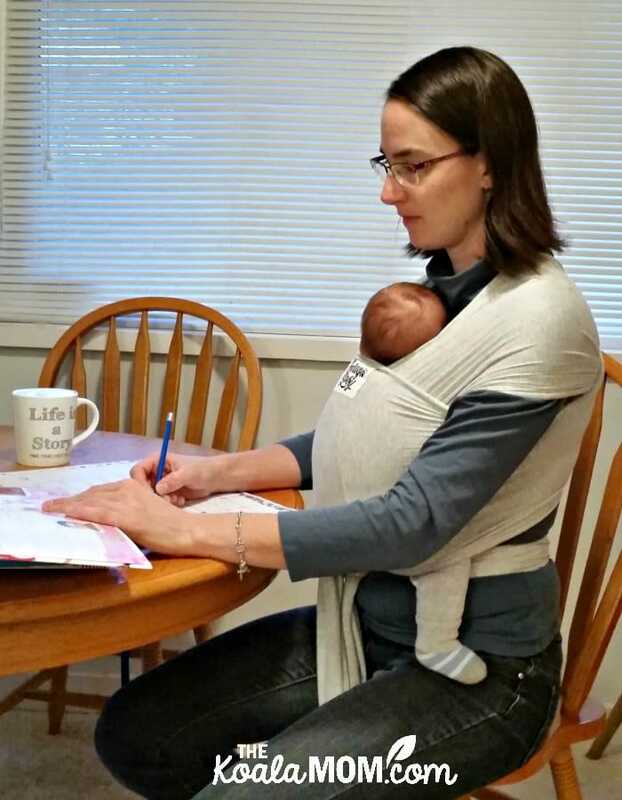 You want to see how easy it is to put the carrier on and off, and how it feels with your baby in it. These wrap-style baby carriers are great for newborns. The Beluga Baby keeps your infant secure and snug, letting you work hands-free while baby naps or cuddles. The wrap folds neatly, making it easy to carry in a diaper bag, but does take a bit longer to tie around yourself. Baby can be worn on the front only but can be nursed while in the wrap. I’ve used two Beluga Baby wraps with Joey from about 2 months on. This woven wrap is not meant to stretch (unlike the Beluga Baby), making it sturdier for bigger infants. Getting the baby into the right position takes more time and practice. 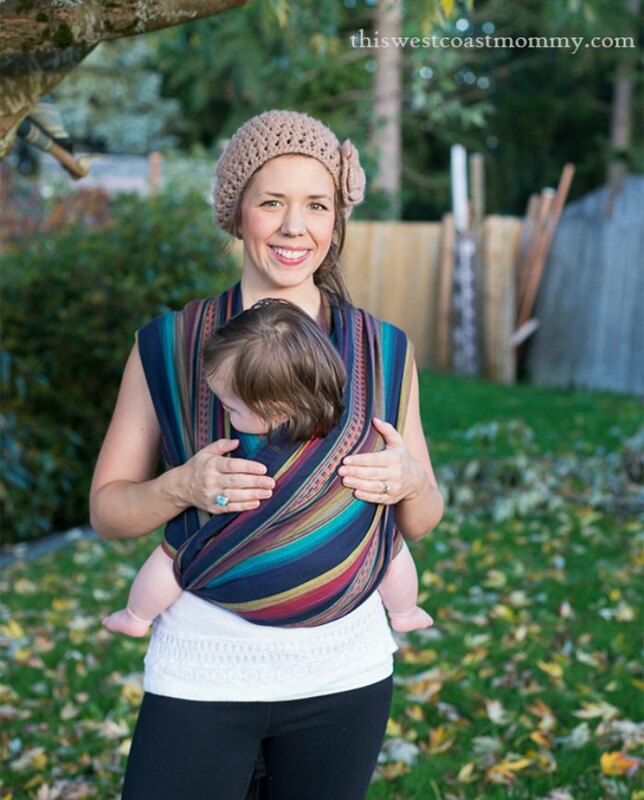 Once you’ve mastered using the wrap, it offers more support for your baby, reducing back strain. This wrap can be used for front, hip or back carry. 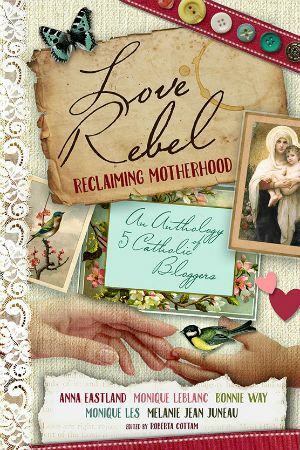 Samantha reviewed it with her 18-pound baby girl. These carriers go over one shoulder and create a pouch for baby to snuggle in. Ring slings are easy to put on and adjust. However, they hang all baby’s weight on one shoulder. They can also double as a great nursing cover. Like a wrap, a baby sling keeps your newborn close and snuggly when you need your hands free. I used a ring sling with all four of my girls when they were infants. This buckle carrier includes an infant insert, so it can be used for newborns to toddlers. The Juno baby carrier features a sturdy waist strap to put most of baby’s weight on your hips, with padded shoulder straps and an upper buckle as well. It’s bulkier than the wrap, but the buckles make it go on and off faster. Baby’s weight is support from their bum through their knees, making it ergonomic for them too. Baby can be worn facing in or out, on mom’s front or back. I got mine when Pearl was a baby and still use it with both her and Joey. This soft-structure buckled baby carrier has a seat for the baby to sit on which also provides more ergonic support for the parent. It’s easy to use and can be used in a variety of positions and carries. Samantha used it with both her baby and her toddler. This buckled carrier grows with your baby from 7-45 pounds, without an infant insert. The height of the back adjusts up and down with snaps on either side, and you can adjust the width of the seat for smaller babies or for facing out. This carrier features six ergonomic positions and removable lumbar support for extra comfort. Olivia reviewed it with her 3-year-old and still found it comfortable for several hours of carrying. We bought an ErgoBaby carrier when Sunshine was a baby, and I’ve used it ever since with all of my kids. The zipper on the pocket is shot and the elastics are stretched after 10 years of use, but otherwise it’s still going strong. The ErgoBaby can be used in three carry positions (front, back and hip) but I’ve never tried the hip carry (and Olivia didn’t like it either). It can be used with newborns with an infant insert. Both Olivia and I have carried four-year-olds in our Ergos. 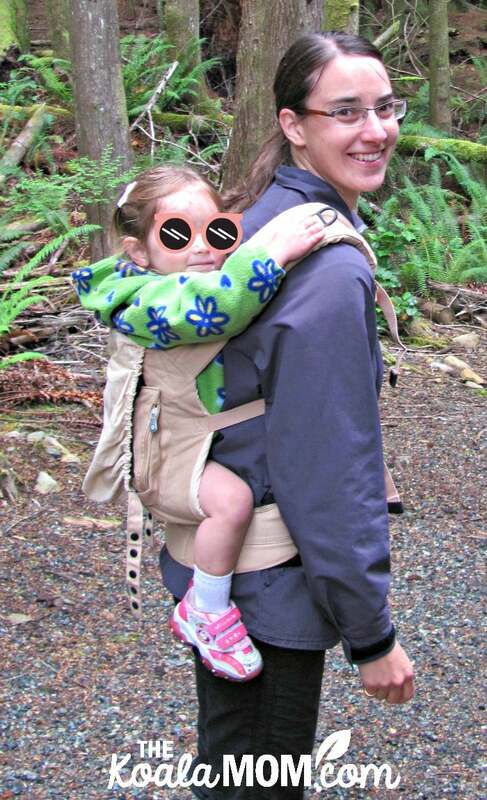 These are the baby carriers you’ll frequently see when out hiking a trail. The baby or toddler sits in a large frame that goes on Mom’s or Dad’s back. 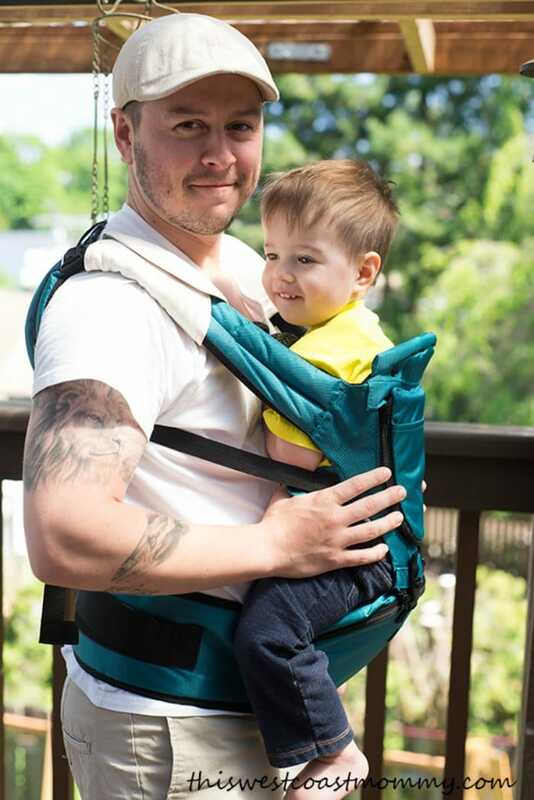 A frame carrier let you carry an older child (usually toddlers and up) and may also have space underneath to carry some of the gear necessary for an outing with a child. However, I found the frame held the baby away from my body, changing my centre of gravity and making me feel off-balance. It’s easy to put baby in and out, as the frame stands up on its own, but you may need help lifting the baby in carrier onto your back. I’d suggest this for babies who can sit up on their own, as younger babies should have more support. It also requires more storage space than the carriers previously mentioned. What are the best baby carriers you’ve used? What tips would you share for picking a baby carrier? I loved our Moby Wrap carriers and used them from newborn to about two years old. I was inspired to baby wear by people using the more heavy duty knit carriers, but I wasn’t able to find them once our kids started coming. It does look like they would have been more comfortable with the bigger kids. Thanks for this great review!